Move over H&M, Old Navy and Forever 21 — another retailer has entered the budget-friendly, fast-fashion marketplace. 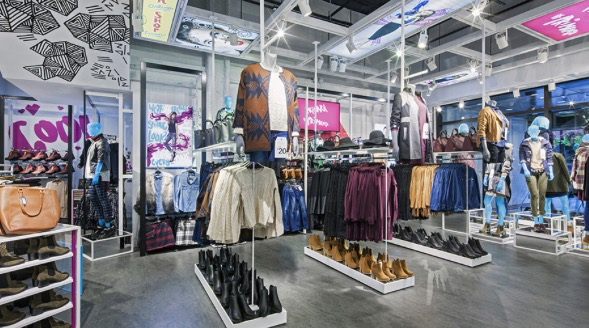 Irish retailer Primark, a division of Associated British Foods PLC, has dropped anchor in the United States, opening a 77,000-sq.-ft. store in Boston’s Downtown Crossing. And more are in the works: Primark plans to open a total of eight U.S. stores by the end of 2016, with the next opening in King of Prussia Mall, King of Prussia, Pennsylvania, in November. 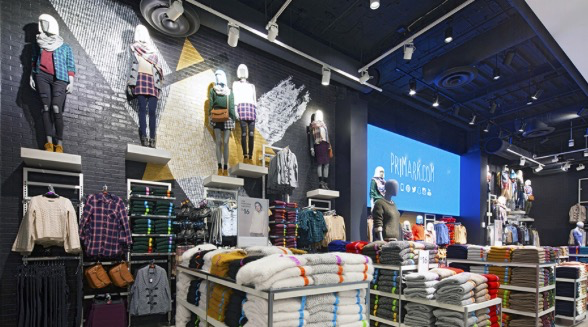 Operating more than 290 stores in 10 countries, Primark is known for its on-trend fashions (for men, women and children, as well as the home) and extremely low prices — prices that often are lower than its competitors. 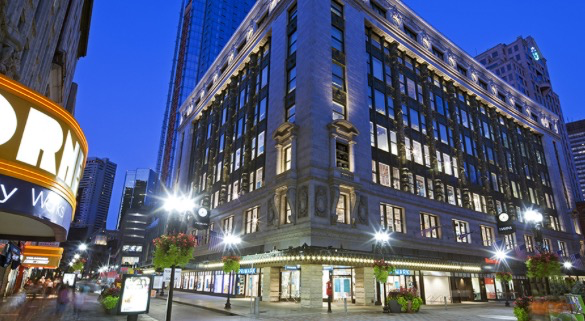 DESIGN: The four-level Boston store is housed in the Burnham Building, site of the original Filene’s Basement, which closed in 2007. Primark restored much of the building, including the exposed brickwork and terra-cotta ceiling. 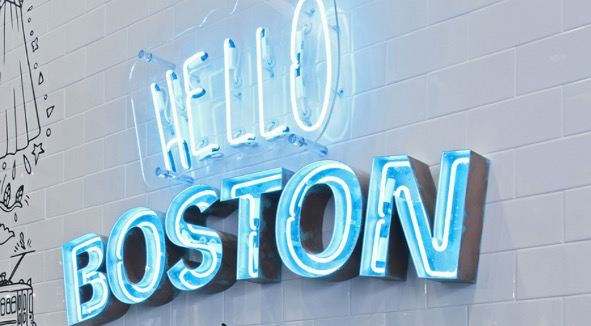 As is the case with the chain’s other stores, the store design references the surrounding local, including a “Hello Boston” mural depicting Boston landmarks. Each floor has a lounge area equipped with smartphone charging stations and video monitors. 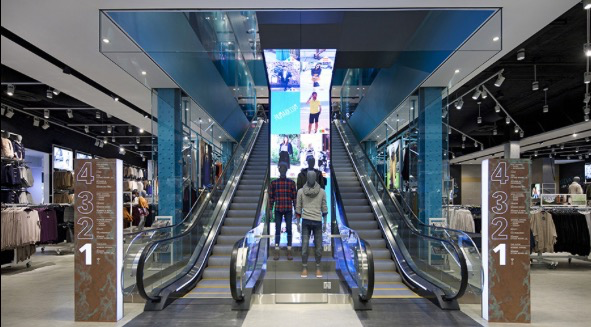 Digital screens help convey the Primark brand story through fun illustrations and shout-outs from Primark’s global community. The dressing rooms are plentiful (there are 84 in all) and spacious. 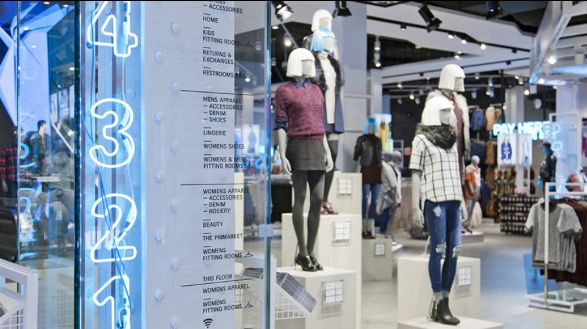 In a move that some see as brave and others as foolhardy, Primark does not sell online. The retailer says that selling online would not be cost effective given how low its prices are. Posted on October 6, 2015, in #international, #retail. Bookmark the permalink. Leave a comment.